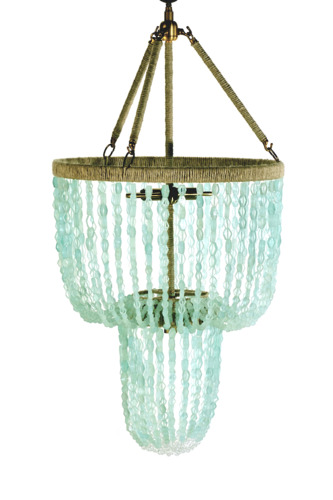 The Carmen Chandelier is made of recycled beaded glass and can be ordered with either silver or brass accents (as shown). 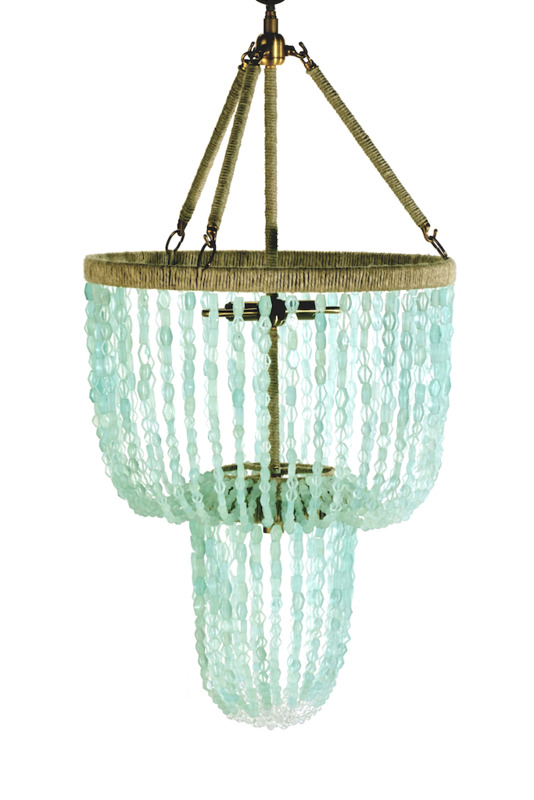 This magnificent fixture measures 18"W x 18"D x 36H", takes three 60 watt Type B Bulbs and includes three feet of chain and canopy. Raising the standard in unique design, this light fixture is made with an eye toward the future and a reverence of the past. These chandeliers shine with quality craftsmanship, bold colors and distinct form, embodying the Art Deco era in modern fashion. Comes from our collection of elegantly sustainable products that push the style envelope with lighting that utilizes unexpected recycled materials such as hemp, organic cotton and beads.